Winter holidays in Alta Badia stand for vacations in the heart of the Dolomite mountains. Moreover Alta Badia is connected with the worldwide largest ski carousel… this is where fun and action are guaranteed! 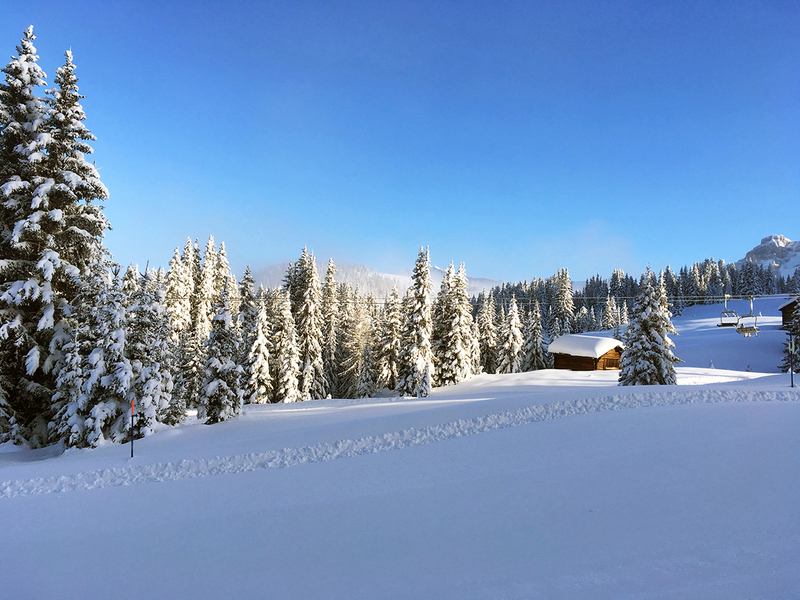 No matter if you prefer skiing, cross-country skiing or snowshoeing – a large number of lift facilities and slopes offer perfect conditions for winter sports. Those who would like to enjoy freeriding will be enchanted by a fairytale-like winter landscape with powdersnow. Alta Badia includes the localities of La Villa, S. Cassiano, Corvara, Colfosco, Pedraces and La Valle. Especially in winter this area is a popular holiday destination. Alta Badia has to offer more than 130 km of ski slopes. Moreover you can do one of the most popular tours on ski of the Dolomites, which is the so called Sellaronda. This skiing area is known throughout the world, not only due to the unique landscape in which it is embedded, but also due to the state-of-the-art lift facilities. Combining sports and nature is also possible in Alta Badia, as there are numerous wellness hotels. 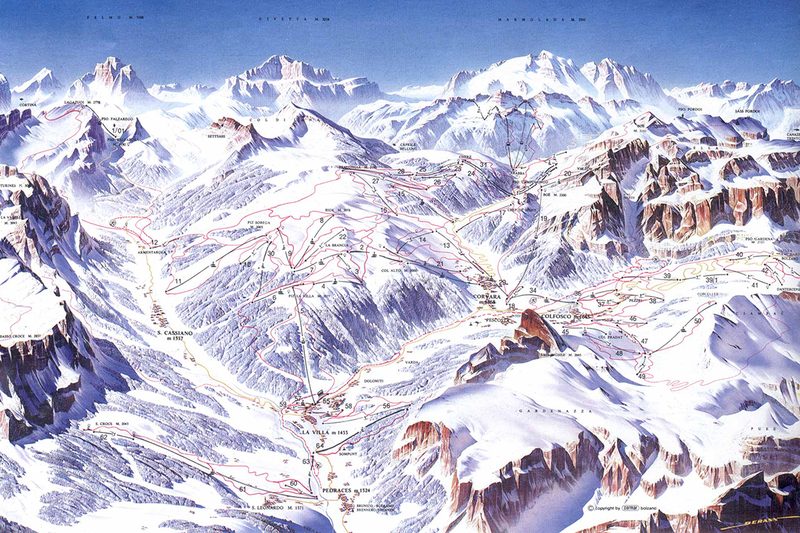 The winter sport area Alta Badia gives variety regarding cross-country ski tracks. More than 38 km of classic and skating tracks, leading across a fairytale-like winter landscape, are available in Alta Badia. Surrounded by majestic mountain peaks you can enjoy your active winter holidays and soak up the sun. The offer includes easy as well as difficult cross-country ski tracks. Most can be fond in the Alta Badia-Enervit cross-country ski centre in S. Cassiano – Armentarola and the cross-country skiing eldorado Corvara-Colfosco. Extraordinarily scenic are the three tours round Armentarola between S. Cassiano and the road to Passo Valparola. These cross-country ski tracks of about 19 km lead you to meadows and forests at the foot of the Conturines, Lavarella and Settsass. A centre with restaurant, ski school and dressing room are available where you start your tour. The tracks of the cross-country ski centre of Corvara also take you across the fascinating Alta Badia landscape to the natural spactacle of the Pisciadù waterfalls. This ski centre comprises a total of 16 km of cross-country ski tracks. 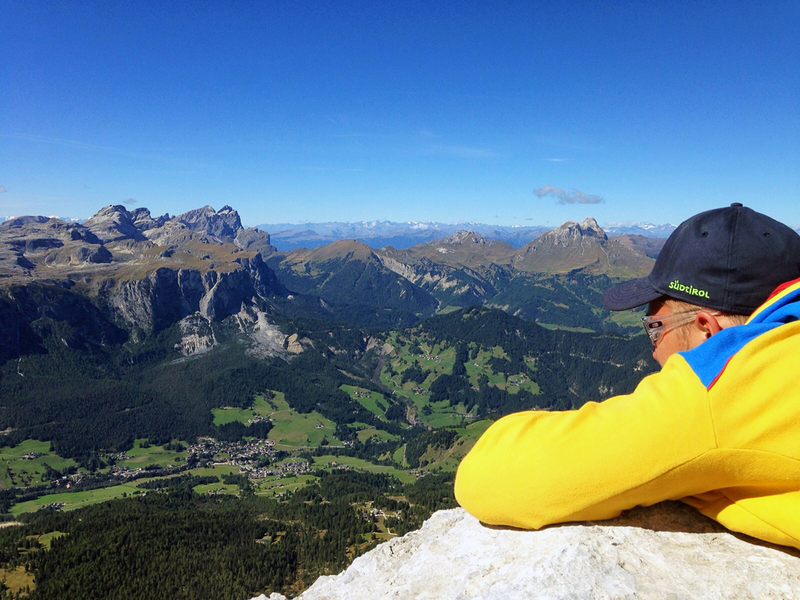 Due to its fascinating mountains Alta Badia is an attraction for alpinists from all over the world. Mountains in Alta Badia, including the Gruppo Sella, Sassongher, Cir mountains and numerous other rock towers, offer multitudinous possibilities and challenges for hikers. More than 400 km of well signposted hiking paths take you through the heart of Dolomites. After an exhausting tour we recommend you to stop in one of the refuges and have a bite to eat as well as a refreshing drink. The Alta Badia landscape is not only perfect for those who prefer easy or moderate routes, but also for those who seek the challenge and spare no effort, as this area has got world-famous routes to offer. Why don’t you try mountain biking along the Giro d’Italia stage or cycling round the Sella mountain range? In summer, however, you can take part in the famous “Maratona dles Dolomites” cycling race or the “Sella Ronda Bike Day”! And if you do not want to bring your own bike to Alta Badia, just come and rent a bike. By the way: in the lift facilites Col Alto, Piz La Ila, Piz Sorega and the chair lift Sasso Croce you can take your bike with you. So you can even explore the mountains by bike.